Which Double Take Salsa Variety Are You? We’ll spare you the nonsensical internet quiz and bring you straight to the (nearly nonsensical) results, partly because quiz plugins are hard and mostly because you don’t have the time to take a quiz. 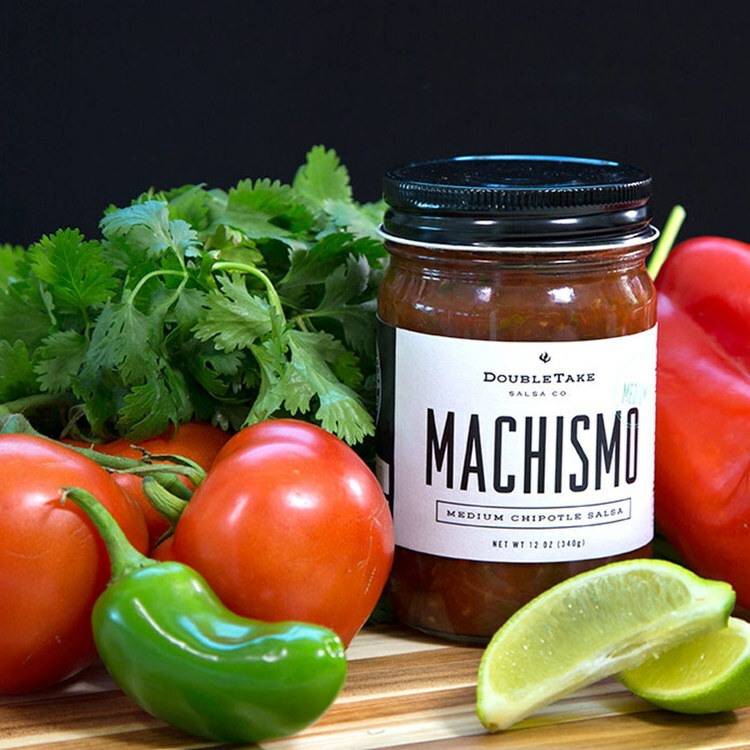 When you inevitably find yourself contemplating which jar of Double Take Salsa you’re in the mood for this weekend, take a personal inventory. Feeling spicy? There’s a flavor for that. Craving open fields? Check. Hatching a secret vendetta against someone who recently wronged you? We … might not be able to help you. You owned the week. And you’re going into the weekend even stronger. You’ve got energy to spare and fire in your soul. Sure, you look sweet, but you’re willing to tell someone to shove it if they try and steal your salsa. (Note to self: Don’t hang out with salsa thieves.) Your personality has layers. Like an onion. Which happens to be one of the high-quality ingredients packed into this jar. See above. A tamer version of Machismo. Perhaps you skipped that second cup of coffee. Uffda, it’s already fall! You’re digging deep into your rural roots and welcoming the autumnal equinox and its bountiful harvest. You’re pleasant and sweet and relish the cool weather, which doubles as a fun coincidence and a lousy play on words: This sweet corn salsa is great as a relish and makes an excellent guacamole when mixed with avocado. The beans in this salsa are black. Like your soul. You’ve been counting down to Halloween since mid-July, and you’re not sad to see spooky displays in stores before Labor Day. Your dark side comes with an unexpected kick; you’ll curse anyone who dares to offer you mediocre salsa. An effortless health nut, you’ve tricked all of the neighborhood kids into eating their vegetables. You’re a real crowd-pleaser and a hit with families. Like a Golden Retriever of the salsa world, minus the excessive shedding.